Note The Innovation By Design Awards on October 16 will celebrate the controversial ideas, new products, business ventures, and wild ideas highlighted everyday on Co.Design. Award Winners in nine categories will be unveiled at the event. Register today. The Innovation By Design Awards on October 16 will celebrate the controversial ideas, new products, business ventures, and wild ideas highlighted everyday on Co.Design. Award Winners in nine categories will be unveiled at the event. Register today. Earlier this year, we put out a call to the design and business communities: What are the best design-driven innovations of the past year? More than 1,100 companies and organizations responded, offering 1,700 nominees in nine categories. An all-star group of 27 judges–from MoMA curator Paola Antonelli to Nicholas Felton of Facebook–worked with us to identify 56 finalists. Presented on the following pages, these standouts represent the creative explosion under way in our economy. (All of the finalists were introduced or came to market in the year ending June 1, 2012.) The winners will be unveiled on October 16 in New York. As you’ll see as you read ahead, they are all worth cheering. Here, the finalists for the “Student Designs” category. Sitting all day may harm health, but standing all day isn’t good either. The solution, from a collaboration with Herman Miller: an adaptable work-station that encourages movement during the day. “It’s beautifully executed,” says Stewart. Any visitor to N.Y.C. has walked through dark, grimy sidewalk sheds under scaffolding. This team created a modular system with a seat, counter, planter, screen, and lighting to turn such spaces into pocket parks. “This has business relevance in the world’s largest cities,” says Belsky. A multiyear campaign to rebrand an eco-friendly protein source: bugs. “This starts a conversation that’s worth having,” says Stewart. Balde a Balde is a clip-on faucet device that turns any water basin into a source of flowing water. It’s a simple invention with the power to transform the lives of millions around the world who lack running water in their homes. In the developing world, washing laundry by hand can consume six hours a day. The GiraDora, a $40 foot-powered washer, cuts that to 30 minutes while decreasing water use by one-third. 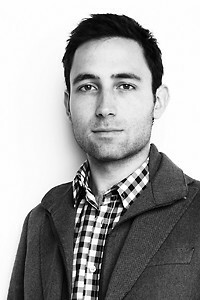 Scott is the co-founder and CEO of Behance, a company on a mission to organize and empower the creative world. Behance is the leading online platform to showcase and discover creative work, and serves as the backbone for AdWeek, LinkedIn, and thousands of other portfolio sites and online galleries of creative talent. Millions of people use Behance to display and find talent every month. Carol Lim is the co-owner & C.E.O. of Opening Ceremony. After working in both the financial sector and corporate fashion, Lim and Humberto Leon launched Opening Ceremony in 2002. She oversees buying, business planning and development, and works side-by-side with the creative team on all aspects of the brand. In July 2011, French luxury group LVMH appointed Carol as Co-Creative Director of Kenzo. Margaret is the Director of Product Design at Facebook. Prior to her current role, she was the Director of User Experience for YouTube as well as a role in leading Search and Consumer Products UX at Google. 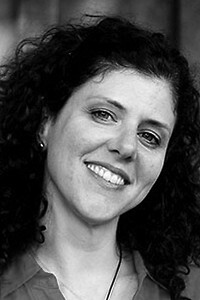 Margaret has been a practitioner and manager in the field of User Experience for over 15 years. Over the course of her career, Margaret has led the design teams for 5 top 10 most visited websites in the world. Browse the complete list of judges here. A version of this article appears in the October 2012 issue of Fast Company.